Please download and completely fill out the registration application. Applications may be submitted by email to info.aisoc@gmail.com or sent to the Islamic Educational Center of Orange County c/o Ahlulbayt Islamic Seminary of California, 3194-B Airport Loops Drive, Costa Mesa, CA 92626. The fee for each course is $180 per semester. The fee all four courses is $720 per semester. 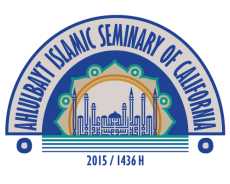 Checks should be made out to Islamic Educational Center of Orange County with a note Ahlulbayt Islamic Seminary of California.